“I want to live in China someday,” my daughter told me when she was just six years old. Always curious about foreign cultures, she had become close friends with a Chinese student in her class whose mother was a visiting scholar at the university here in Boulder. In the four years since, my daughter has not stopped talking about it. Although we can’t uproot and move to China now, I wholeheartedly believe in her dream. So does Joseph O’Shea, author of Gap Year: How Delaying College Changes People in Ways the World Needs (Johns Hopkins University Press, 2013). O’Shea, a philosophy professor and the director of Florida State University’s Center for Undergraduate Research and Academic Engagement, has spent years studying the “gap year” (also called a “bridge year”)—a year abroad between high school and college. Gap-year benefits are big, according to O’Shea. Students don’t just get a bunch of exotic photos to post on Facebook. They gain personal insights and skills that make them more successful students, more empathetic and creative in their careers, and more confident leaders over the long term, he says. This rings true for my family; my daughter knows just one of our neighbor families well. I’m grateful for that, but I know that there is more. What if she could experience a tight-knit community that truly sacrifices for each other? Where the benefits of cooperation—what social scientists call “social capital”—are clear? The gap year has been common in Europe for decades. 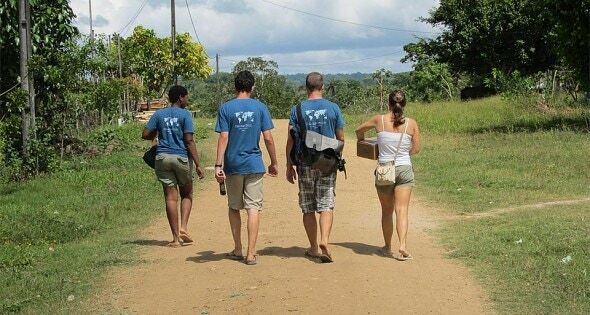 Now it is gaining traction in the US, where universities such as the University of North Carolina at Chapel Hill, Tufts and Yale offer official gap-year programs. “Students become more interested in the problems societies and humans are facing,” points out O’Shea. They become empathetic world citizens, and “empathy is the foundation for solving so many problems we’re facing in the world,” he says. Students often go on to pursue related research or job advocacy work in community or human rights issues. For example, O’Shea has worked with a number of gap-year students who have gone on to study and participate in urban agriculture and gardening programs, food justice and water issues. “In developing countries, agriculture, animals and food systems all use the same water, yet all are vital to the health and sustainability of the community.” Students ask important questions about how to better this system: Education? Engineering? “It spurs curiosity and critical thinking,” says O’Shea. Another student who lived in Namibia discovered how “food was an integral part of every aspect of life for this community. It wasn’t so much about eating food to survive. Food was the nexus of community life. Food was a form of generosity and giving. It completely changed her ideas about food, so that she saw communal and social value. “Gap years can be really hard,” admits O’Shea. “To go to a place and become acclimated for an extended period of time and work with challenging issues in challenging conditions forces you to develop a greater sense of efficacy, confidence, awareness, understanding. . . . It helps you understand yourself.” It also shows students how to build meaningful relationships and view those relationships as important. After such an experience, “typically you’ll see less emphasis on material gains, which results in greater well-being,” he says. I know I’ll be encouraging my kids to take a year off college and hit the road. . . .